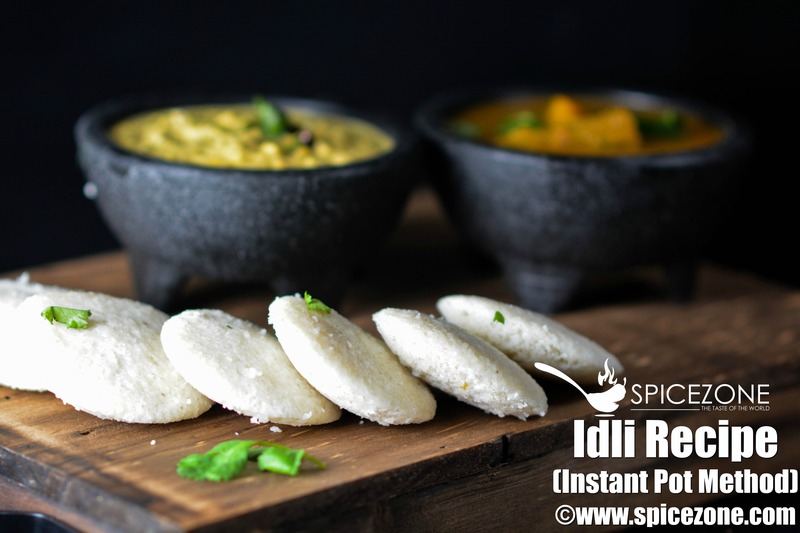 After almost a month break, today I am bringing you Idli Recipe using the idli rava and we will be fermenting and steaming them in the Instant Pot. I know I had posted on my facebook page that I will be bringing this recipe soon. I haven't forgotten my lovely readers. Without your support I cannot be who I am today. My apologies once again as I didn't think it will take this long for me to do this post as I had a wedding in the family, then Diwali and right after Diwali my husband got sick. I didn't want to rush it but I think its high time I work on it. Just want to say thank you for your patience and support once again. 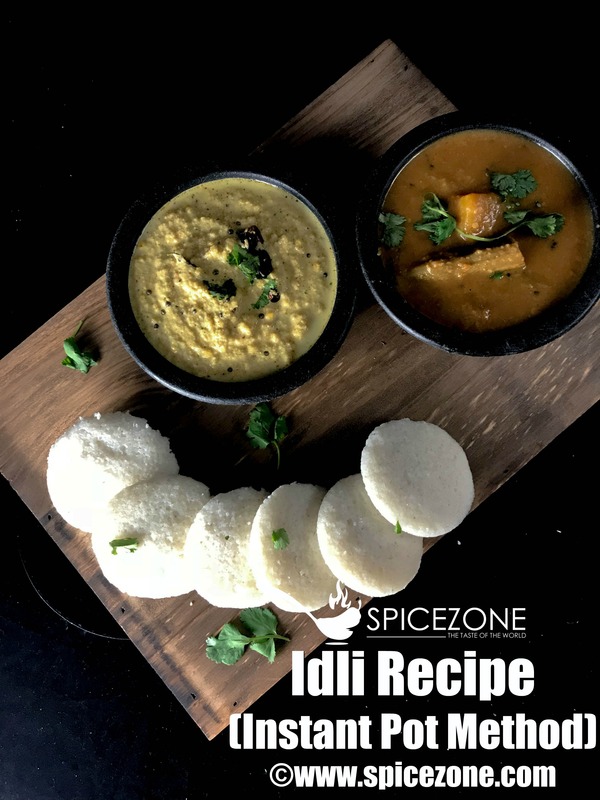 Idli is a steamed rice cake which comes from southern part of India and is a popular breakfast item which can be also consumed at lunch or dinner. 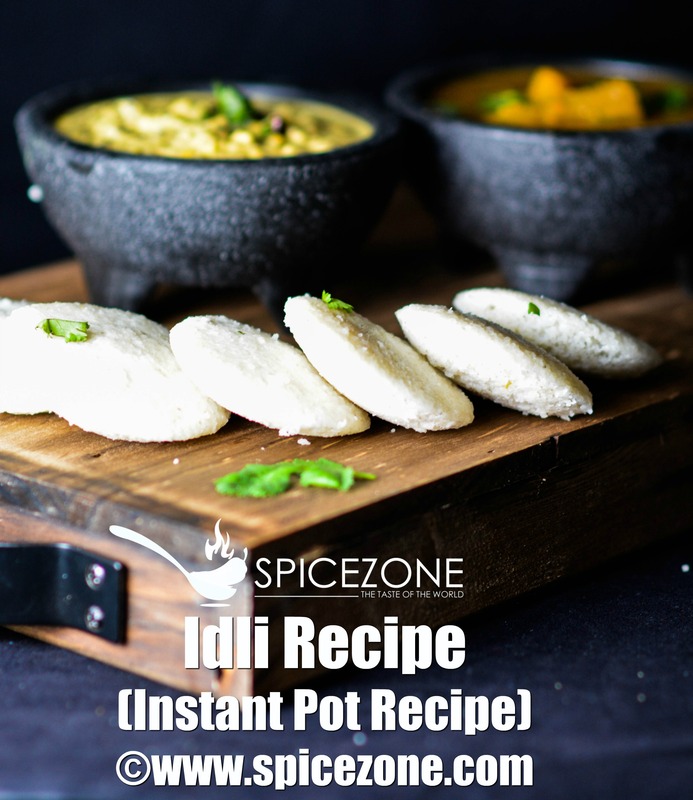 Traditionally, combination of rice and lentil are soaked, blended into a batter, fermented and steamed to make these healthy idli. So for the longest time I was intimidated by the process of fermenting the batter and I thought I will never get it. South Indian food is my favorite out of all the Indian delicacies. I still remember when I lived in India, I am talking about 25 years back when my parents will take us out to dinner I would always order idli or dosa. My parents used to say why not chicken or anything else? Last month when I was home, I decided to give this Idli recipe a try which I have adapted from my fellow blogger Radhaji's blog who blogs at www.youreverydaycook.com I had all the ingredients I needed as I did purchase the idli rava a while back but didn't have the courage to give it a go. Also I wanted to try it in my Instant Pot which gave me a push as I had read that the Yogurt button can be used for the fermentation process specially when it is cold out. Soak the urad dal overnight or you can soak it for 5-6 hours. Then grind it in the grinder and while grinding the dal you can add the methi seeds to it too. Make sure the batter is not very coarse. Before you give it a final grind, add poha to it and grind it one last time. I used the instant pot for steaming my beautiful idli. Add 2 cups of water into the pot and heat it up using the Saute mode for 5 mins. Grease the idli mould and fill up the cavities with a big spoon full of batter. Make sure you don't over fill it. Once the water is heated, press cancel to stop the saute mode. Place the idli mould and close the lid. Make sure it is set to Venting. Press Steam and let the idli steam for 11 mins and quick release (QR). Take the idli mould out and let it stand for a couple of mins. With the help of the butter knife you can take the idli out of the cavity one by one. I made 16 at one time and my entire batter was done in about steaming it 3 or 4 times. You can serve them with hot sambhar and coconut chutney. 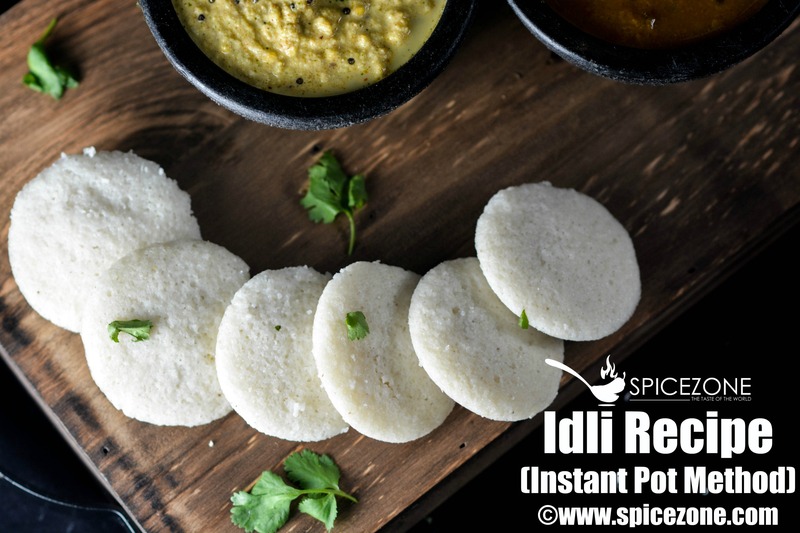 Idli Recipe made in Instant Pot using idli rava is an easy way to make idli and can be enjoyed whenver you are craving this healthy rice cakes.